Palatinose™ is an alternative to dextrose, glucose, maltodextrin and other highly digestible and highly fermentable carbohydrates. Palatinose™ is a natural sugar with approximately 50% of the sweetness of sucrose. It is also heat stable so can be used in baking and cooking. Who is Palatinose™ Suitable for? Palatinose™ is a good choice of carbohydrate to consume throughout the day or around training to increase carbohydrate intake. Carbohydrates contribute to muscle recovery† after high intensity and/or endurance exercise. 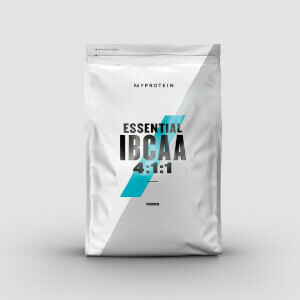 Therefore in order to replenish muscular glycogen stores we recommend adding 1/2 large scoop (30g) to 150-250ml of water or your favourite beverage in a Myprotein shaker within 4 hours of exercise. †Beneficial effect is obtained through consumption of carbohydrates, from all sources, at a total intake of 4 g per kg body weight, at doses within the first 4 hours and no later than 6 hours of exercise. Unflavoured: Isomaltulose* (Palatinose*®*) (100%). *Isomaltulose is a source of glucose and fructose. Great carbohydrate product with many proven health benefits over competitors. Tastes sweet, mixes well, and works well for pre, post and intra workout drinks. Love this stuff but unfortunately the 5kg bags have been out of stock for some time, which I am not very happy about. PLEASE RESTOCK THE LARGER BAGS MYPROTEIN! Platinose, a special sugar cannot give allergic reaction as it is a carb, not a protein! Use Palatinose for my long distance performances (70.3 tri). Works well and during exercise, I like the taste as it is not so sweet. And I add lots of it to my drinking bottles. never had a side effect. Use the day before Comp. My coach swears by Maltodextrin, but I thought Palatinose sounded better for my endurance sports (triathlon). I have yet to convince my coach though! He says that post work-out has to be a rapidly-assimilated sugar. Not sure what to think; will have to see how it goes on a race. In the meantime, I have been taking it before, during and after workouts with Electrolyte powder. Has exactly the same calories as Maltodextrin. I use it to sweeten my unflavoured whey & water shake— delicious! I have a very sensitive stomach and am prone to upsets but nothing to report on this front. I really don't find it too sweet— I suppose everyone has to find their personal powder:water ratio. I split the 60g dose between 2 x 800ml water bottles and this works for me. It's like drinking sugar water. Good sugar substitute that apparently does not damage your teeth! I highly recommend it if this is true!! A little of an after taste but less than real sugar! Anything that you need to sweeten! Great service - this Palatinose was delivered quickly. The powder generally mixes very well with water (I haven't tried with juice yet). Once mixed, the drink tastes sweet as described. I was surprised at just how sweet it tastes, but I quickly got used to this and enjoy it. This is a low GI carb and releases energy slowly without causing an insulin spike. It's therefore brilliant for carbing up before a workout as it doesn't make you feel groggy or sluggish. The high calories combined with slow release carbs help provide energy throughout your workout, without feeling depleted prematurely. I can therefore therefore exert myself to the full, set after set. It's brilliant! The amount you get for the price is nothing short of fantastic too! Water - haven't tried juice yet. Reading about this there is a report that you should not consume more than 60 grams of Palatinose in one serving or it can cause diarrhea. So if you are having problems it could be because the scoop for this product is right at the borderline for this. Try halving the dose then working your way up to avoid stomach issues. Having read the other reviews I can say that I too suffered an allergic reaction to Palatinose. I had rashes on my forehead and other parts of the body with low level itching. This is the perfect carb source for my para-workout nutrition. Delighted that myprotein sell it. I suffered an allergic reaction to this product and due to its slow release it lasted from 6 in the morning right the way through to 11 at night. It certainly seems to do what it says and i did read up on it before buying it but nowhere said it was something you could be allergic to. I am not someone who is allergic to anything and this is the first product ever. As with most products on this site the value is great and the service is fantastic just a shame this product did not agree with me.